The New Zealand Olympic Committee has announced International Sports Promotion Society (ISPS) Handa as its official charity partner for the Tokyo 2020 Olympic Games. 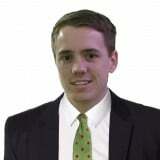 ISPS Handa is a Japanese organisation which supports charitable causes. The partnership will help take the New Zealand team to Tokyo 2020, with the organisations also set to work together on social-good projects in Japan. "The New Zealand team has always looked for opportunities to 'give back' to host nations and communities as part of the team culture and manaakitanga" he stated. "Through this partnership, the New Zealand team will have the support of ISPS Handa to deliver community outreach projects in Japan that will leave a legacy beyond the team's presence at the Olympic Games. At the Rio 2016 Olympics, the New Zealand team was able to donate 6,000 items of clothing as well as sporting equipment and 1,500 spectator tickets to disadvantaged members of the Mangueira "favela" community. Athletes also gave up their time to coach local children. 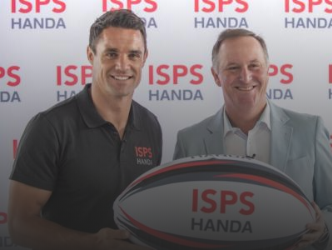 It is claimed the support of ISPS Handa will allow the New Zealand team to use its platform to take sport to schools and communities in Japan, strengthening relations between the two countries. Weightlifter David Liti, rower Emma Twigg, hockey player Brooke Neal and canoe slalom athlete Mike Dawson are all involved in social good projects and attended the announcement. "Sport has changed my life for the better and I honestly don't know what I'd be doing if I hadn't found weightlifting," Liti said. Sir John said ISPS Handa and the NZOC have a great synergy, with both passionate about the ability of sport to change lives. "ISPS Handa is extremely pleased to support the New Zealand team and is looking forward to using this partnership to allow more people to access sport," he added. "The Kiwi athletes preparing for Tokyo 2020 are remarkable men and women and we're proud to be working with this incredible team as it gears up for the Olympic Games. The partnership with ISPS Handa will also see the organisations host charity galas in Tokyo and New Zealand, supporting fundraising for the New Zealand team as well as charitable activity in Japanese communities. The new initiatives will align with the New Zealand team's existing community work, including the Olympic Ambassador programme, which sees Olympians share their stories with thousands of Kiwi children every year. Last month, the best of New Zealand's sporting community gathered in Auckland for the 2018 NZOC Gala Dinner. The black-tie fundraiser brought athletes together to celebrate New Zealand's success last year, including their most successful overseas Commonwealth Games performance in Australia’s Gold Coast and the Pyeongchang Winter Olympics at which two teenagers - snowboarder Zoi Sadowski-Synnott and freestyle skier Nico Porteous - won New Zealand’s first medals for 26 years. The event also marked a shift in focus towards Tokyo 2020, at which more than 200 athletes from New Zealand are expected to compete. Sarah Walker, an Olympic silver medallist in BMX cycling and International Olympic Committee Athletes' Commission member, claimed it is fantastic to be looking forward to Tokyo 2020.